The Conference Centre in Kielce, Poland, was the venue for the 9th edition of Edura, the international exhibition on fire protection and rescue. Currently the only specialised event in Poland, it is an important reference point for the Central and Eastern European markets and a showcase for the best appliances, equipment and technologies used by search and rescue services. Ample space is dedicated to fire protection services. Over 152 exhibitors from over 10 countries meet in Kielce to receive thousands of visitors, professionals and rescue volunteers. The Exhibition is organised with the Honorary Patronage of the Minister of Interior, the support of the Polish Republic’s National Headquarters of the State Fire Services and the Executive Board of the Voluntary Fire Services. Since 2013, twinning with the German tradeshow Interschutz has led to the event taking on the name Edura powered by Interschutz (similar to the partnership deal struck in Italy by R.E.A.S.-Salone dell’Emergenza). The collaboration is aimed at broadening Edura’s horizons on an international level in order to face the difficult challenges of the market. Edura powered by Interschutz is also an opportunity for gaining theoretical knowledge at conferences organised at the event. 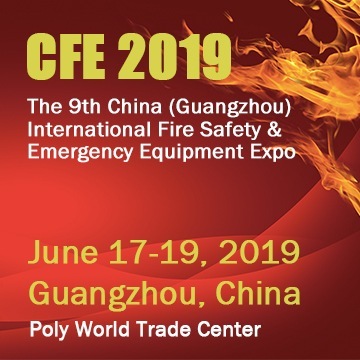 Training sessions and the traditional contest on fire protection and rescue are an ideal opportunity to demonstrate equipment and practical methods of application. The next exhibition will be held from 12 to 14 June 2014.